Boxes are wonderful things. There are so many things you can do with a box! 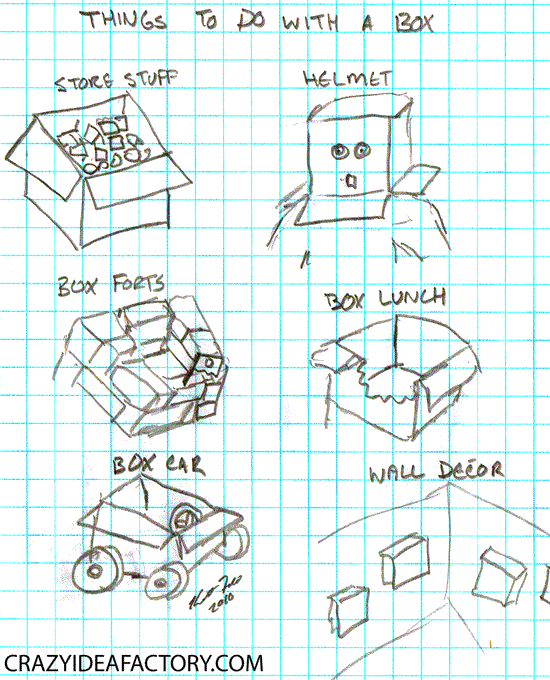 I penciled out 6 things below to do with boxes. I’ll probably add more in the future.